It's that time of year again where the Christmas cheer is alive and the holiday season is underway! 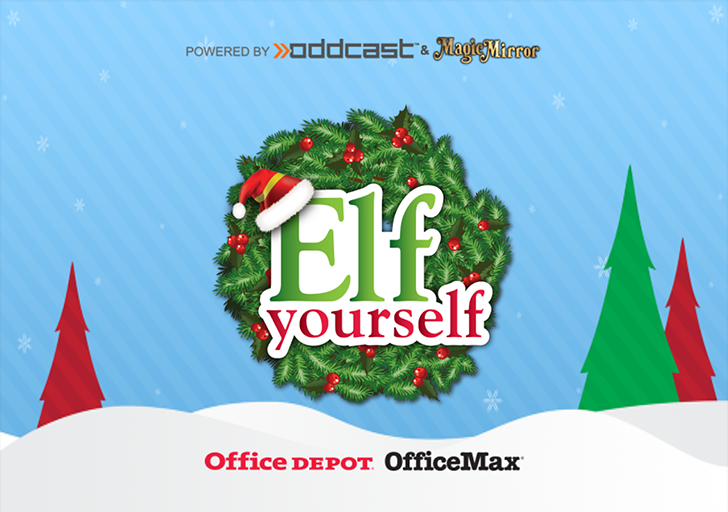 If you enjoy fun, colorful games like Sky Streaker - Gumball Climbing Arcade Game, Garfield: Survival Of The Fattest and Crayola Color Alive then you're sure to love ElfYourself by the team at Magic Mirror! 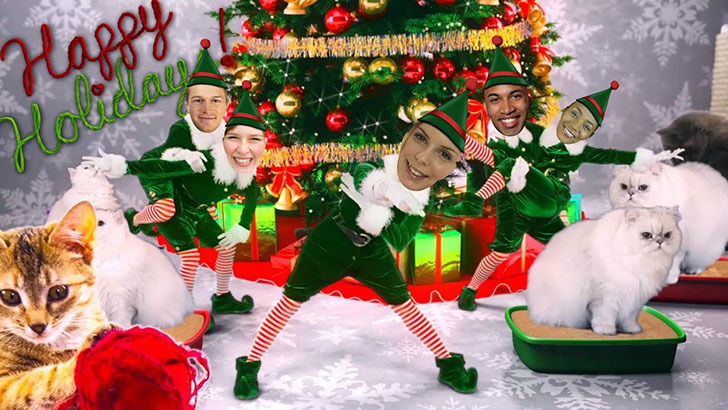 The app allows you to star in a personalized video featuring your photos on dancing elves! 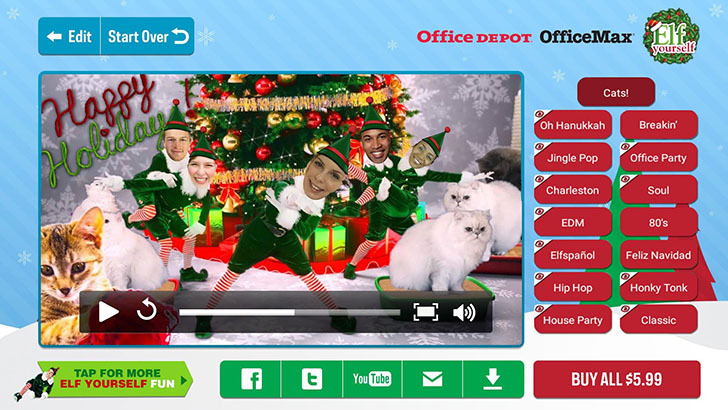 You can upload up to five different images of you, friends, family and generate a hilarious video for all to enjoy. If you're ready for a good laugh then give this app a go!